How do you explain Troy Tulowitzki’s .571 home batting average (OPS over 1.600) plummeting to just .247 on the road? For Giants broadcaster Mike Krukow, Tulo’s mashing for such an extended period suggests the Rockies star is getting extra help at Colorado’s Coors Field. Krukow explored the idea before San Francisco headed into a three-game set with the Rockies. “I swear he’s getting signs,” Krukow told the hosts of the Murph & Mac radio show on KNBR in the Bay Area. “There’s no way you hit like that for this long. I mean, you hit .571, that’s for a weekend or a week, but you don’t do it for six weeks. That’s insane.” Krukow was amazed at Tulo’s balance and pitch selection above all else. “When we saw him, he never was off his back leg. [Tulowitzki] was never fooled, not one time … whatever speed you threw at him, he was on it,” Krukow recounted. “That kind of gets you thinking. If you can get away with it, I guess it’s legal.” Though Krukow seemed to consider backtracking at the end of he statements, he ended up happy to stand behind them. Whatever’s in the water at Coors Field, Tulowitzki has been feeding off it. Even after a relative slump (2-for-10 in three games) against the Giants, the Rockies shortstop was carrying a .521 average with a 1.559 OPS (.959 slugging) over 21 games in Colorado. On the road, those numbers dropped to a .247 average and .894 OPS. That’s about half the production away from Tulowitzki’s home park. Can it be explained? For one thing, Tulowitzki has been feasting on less-than-stellar pitching at home during his torrid 2014 campaign. Felipe Paulino (11.29 ERA), Robbie Ross (4.71 ERA), Robbie Erlin (4.53 ERA), and Jenrry Mejia (4.55 ERA) are just four of the unfortunates who have headed into Colorado looking for a win and gone away battered by Tulo and the Rockies. In that respect, it just seems like Tulowitzki is doing what great players should do — he’s beating up on subpar competition when he has the chance. That’s enough to get an elite hitter locked in at a park known for encouraging offense. Rockies manager Walt Weiss had some fun with Krukow’s comments. “We’ve got a light bulb on the scoreboard we flash,” Weiss told reporters before a game in the series. 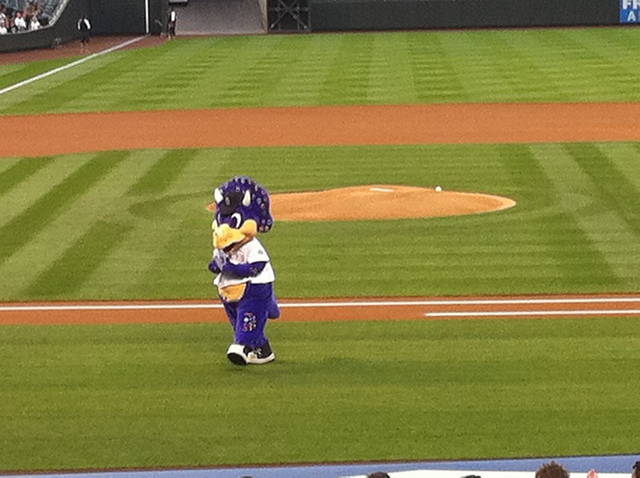 “Keep an eye on Dinger [the Rockies mascot]; he’s involved. We switch out the balls. We’ve got the umpires in on it.” Tulo simply shrugged and walked away when asked questions about Krukow’s statements. If indeed the Rockies had the affable mascot Dinger in on the sign-stealing plot, that would be an innovation in the history of baseball trickery. 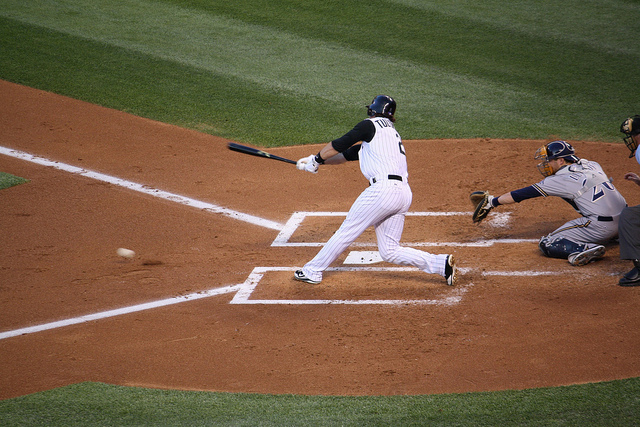 Slumping outfielder Carlos Gonzalez noted he’d like a piece of the action. Whatever it was the Giants did in their three games at Colorado, it worked. San Francisco pitchers held Tulo to two hits in 10 at-bats. Or maybe Madison Bumgarner (3.38 ERA), Matt Cain (3.66 ERA), and Tim Hudson (2.13 ERA) were able to execute their pitches. Dinger couldn’t help Tulo against those guys.